Business Bankruptcy FAQ | Denver Bankruptcy Attorney - Jon B. Clarke, P.C. 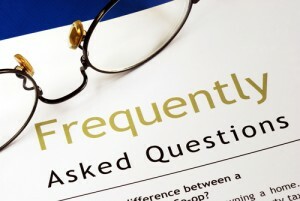 Check out these frequently asked questions about Business Bankruptcy. For more info, contact experienced Denver business bankruptcy lawyer Jon Clarke. Q: What are the fundamental purposes of bankruptcy? A: First, bankruptcy allows a debtor a judicially supervised method of resolving debt, either through liquidation of assets or through restructuring of debt. The business can pay off its debt, and in reorganization cases, the business can still remain in operation. Second, the creditor can receive some relief if the debtor files for bankruptcy. Although the creditor may not receive all of what is owed, it may receive a partial payment through either the sale of assets or a repayment plan. Q: How many types of bankruptcy are there? A: There are several types of bankruptcy. Chapter 7 provides for liquidation of a debtor’s assets. Chapters 11 and 13 provide for reorganization. Farmers may file under Chapter 12, and reorganization is available to municipalities under Chapter 9. Q: Which form of bankruptcy is best for a business that hopes to continue operations? A: Chapters 11 and 13 are the best options for a business that wishes to continue operations. Under these chapters, the business works out a payment plan that allows it to reorganize its debt and repay creditors while continuing its normal business operations. Q: What is the distinguishing feature of a Chapter 7 filing? A: In a Chapter 7 bankruptcy, the trustee gathers all of the debtor’s non-exempt property and liquidates (sells) it. The trustee then distributes the proceeds of the sale to creditors. Generally, secured creditors are paid before unsecured creditors. Q: What is a payment plan? A: Under Chapter 13, the debtor must create a proposed payment plan, which is a schedule of payments that will be made to creditors. Generally, the repayment plan will last for three years. The plan should take into consideration both total assets and total liabilities of the debtor. Q: If I file for some form of bankruptcy, can my creditors still attempt to collect on my debts? A: The filing of a bankruptcy petition triggers an automatic stay (stop) of collection efforts. This automatic stay prohibits most creditors from further collection efforts. However, in some cases the creditor can petition the court to lift the stay. With respect to secured debt, an automatic stay will not stop the creditor from collecting the security placed on the liability, as this was the initial agreement between the parties. Q: What debts are not dischargeable in bankruptcy? A: The following debts are not dischargeable in bankruptcy: debt incurred as a result of embezzlement, breach of trust or fraud; student loan debts; fines as a result of violating the law; more recent income tax debt; and any debts left out of the papers used to file for bankruptcy. Q: Can a company’s securities still be traded after filing for bankruptcy? A: Yes, a company can still list its securities on an exchange. Federal law does not prohibit the trade of securities of companies experiencing bankruptcy. However, the company can be barred by a major securities exchange if the company, while in bankruptcy, does not qualify to be listed.